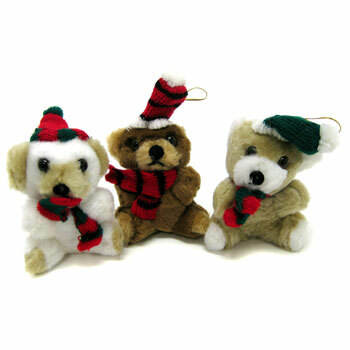 Winter themed stuffed bears. Five inches. Plush stuffed. $10.55 per dozen for 12 dozen or more. $9.05 per dozen for 24 dozen or more.